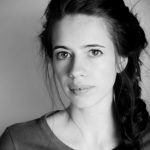 Known for her outspokenness and for taking on unconventional roles, Kalki Koechlin is an Indian actress of French descent, who is equally at ease in Bollywood blockbusters and independent films. Kalki has repeatedly taken a stand for women’s issues in India, and performed her poem, Wo-monologue, to wide acclaim last year. Kalki answers 3 questions for the EVE Program. A constant obstacle to gender parity in the corporate sector has been “the glass ceiling”. Would you say that women in your industry also face a glass ceiling? Definitely. I think that the glass ceiling is an issue in all industries. The film industry is no exception, especially when it comes to gender parity. And it’s not just in Bollywood – even in Hollywood, women are paid less than men for doing the same job. In India, a new discussion around gender started in the 2000’s but it’s very recent and has not yet seeped into traditional ways of functioning in the corporate sector, and beyond. We do have exceptions to the rule in the film industry: Kangana Ranaut was paid the same as her male counterpart in the film Rangoon. In Hollywood, Julia Roberts gets paid more than her male counterparts. But that’s still the exception. Generally speaking, women are fighting for equal pay as much as in other industries. Your parents are devotees of Sri Aurobindo*, renowned for his model of an egalitarian society. How much has your upbringing had a part to play in your vision for gender equality? I grew up in a household where I wasn’t imposed a religion or a way of thinking. I was supposed to make my own decisions and find my own path. And yes, the idea of spirituality in Aurobindo’s work is very much to do with all humans being equal and all life being valuable and sacred. out in the kitchen, and we grew up with shared responsibilities. But I know that that’s an exception to the rule. I also think that when you go to school, you start seeing more gender inequalities and differences like separating boys and girls; subjects that are more for girls, or more for boys. That came through in different institutions when we grew up. But at home, I was not raised that way. In the “womanologue” you wrote and performed last year, you call upon men to support women in the struggle for rights, and you also implore women to care for and encourage each other. Would you say that this sums up how we can make gender equality work? Yes, I think there are two aspects to this. One is that a lot of the time, men feel that the women’s movement is only for women. I keep insisting that men have to be part of the chase as well. We keep talking about educating the girl child in India. But we also need to educate the boy child. We need boys to grow up with an understanding of girls! And I think that that kind of education doesn’t take place very often. And women – clearly it’s in our best interest to look after each other! If we don’t start helping ourselves and each other out, we can’t wait on the men to do it for us. We have to lead the way. 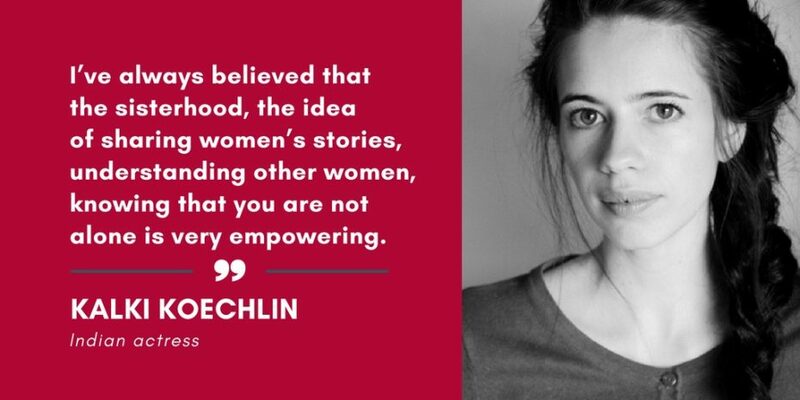 I’ve always believed that the sisterhood, the idea of sharing women’s stories, understanding other women, knowing that you are not alone is very empowering. *Indian spiritual leader (1872-1950). The city of Auroville in Southern India is dedicated to his ideal of human unity.